This is a short and informative guide on how to care for and maintain a Greenheart waterless urinal. WET – Use a watering hose or can or the cistern flush to wet the urinal surface and purge urinal waste trap of the previous day’s contents. Use approximately 10-15 Litres of fresh cold water. AGITATE – Agitate with a brush, scourer or cloth, paying particular attention to the drain cap, step, trough, floor, corners and outside bottom of wall urinals. You should remove all marks and stains. RINSE – Allow to stand for a few minutes before rinsing again with fresh cold water to wash away residue. This will move the cleaner down into the drain where it will continue to work. Run at least 10 litres of water directly into the drain to purge it of organic matter. REPLACE – Replace any greenheart water saving pucks that have dissolved to about the size of a 20c piece. The pucks should be evenly spaced throughout the urinal at 60cm intervals. We think the world not only deserves a safe urinal system, but that you do too. Who wants to handle and breathe in all those toxic chemical cleaners anyway? Keeping a Greenheart Waterless urinal system in good working order is a breeze, it is so easy to use and pleasant to work with. So take good care of it and it will take care of you. Your planet thanks you! 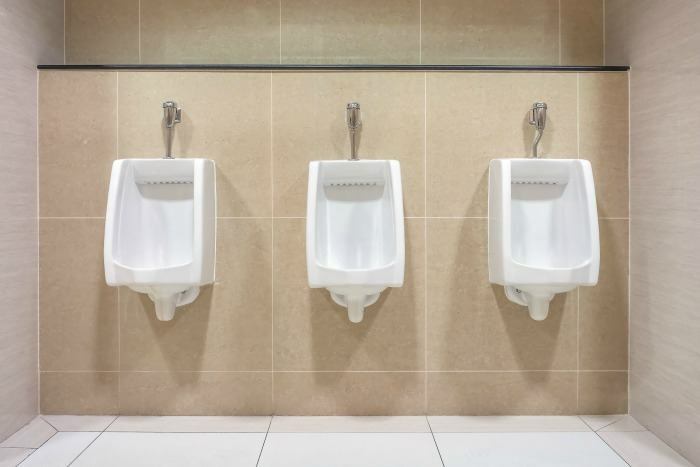 We hope you found this article on cleaning waterless urinals helpful. If you’re keen to go waterless or would like more information on our eco-friendly waterless urinals, contact us now to get started with your own Greenheart Waterless Urinal.